Custom made Costumes and Cartoon Mascot Costumes for sale We tailor make all costumes at affordable prices If you re looking for custom costumes made, we re your one stop shop Made in the USA! MASCOT WEARERS DREAM COME TRUE. YOU CAN SEE WELL, THEY ARE LIGHT WEIGHT, YOU CAN JUMP, DANCE, AND WALK ON OWN, AND LOTS OF VENTILATION!! LET US BRING YOUR CHARACTER TO LIFE, YOU'LL LOVE OUR WORK AND YOUR BUSINESS WILL FLOURISH WITH ALL THE ATTENTION! MASCOTS ARE A GREAT ATTENTION GRABBER... GET YOURS TODAY! 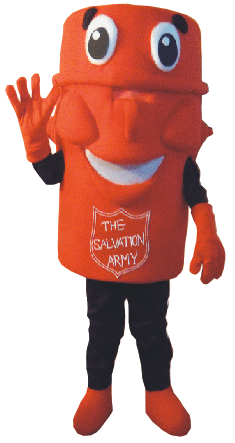 We make high quality mascot character costumes for use by ENTERTAINERS, BUSINESSES, CHURCH ORGANIZATIONS, SCHOOLS, AND FOR PRODUCT PROMOTIONS. We have many pre-made designs for you to choose from. 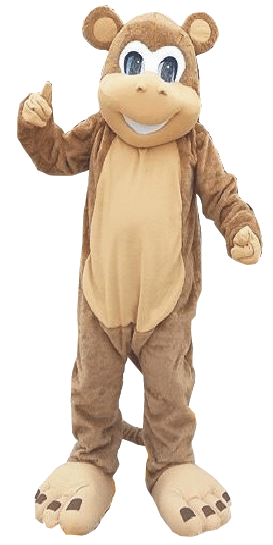 Among our designs we make many popular animals and cartoon character costumes. We build our design or yours. Our Mascot costumes are lightweight soft heads that are unbreakable and easy to clean. We do use vacume formed plastic only were needed. The plastic that we use is a light plastic so all mascots are very comfortable. They all have an interior lining that gives them a protection as well as sturdiness. The construction of the costume is vital to it's durability. Our costumes usually last 6 to 8 years in regular weekly use. Because of the protective lining in the head we are able to install a battery operated fan for the comfort of the user. The bodies are not just jumpsuits. They are made in the body shape of the character they represent. Bears have bear bodies, dogs have dog bodies..... the curves for the hips, the bellies, the tail, and the paws are all there. We surge all the ends and use heavy duty zippers. We also include a removable body pod for those characters that need the extra filling. The reason it is removable is to allow you to wash your costumes at home and not have to spend on dry cleaning. The shoes are made in a lined 1 1/2 foam that hug any size foot. They are covered in the same material as the body and are hand sewn with this nylon thread at the ankles. The bottom of the shoe is sole material. This way the person wearing the costume can use it on any surface. We have many pre made designs but we specialize in custom making any costume to your specifications. A costume is an investment and needs to be easy to work in, easy to clean, and must last through years of performances. With us you get an affordable costume with superior quality, durability, comfort, and great personalized service. Choose a party theme and let CARTOONMASCOTS.COM dress you up accordingly. 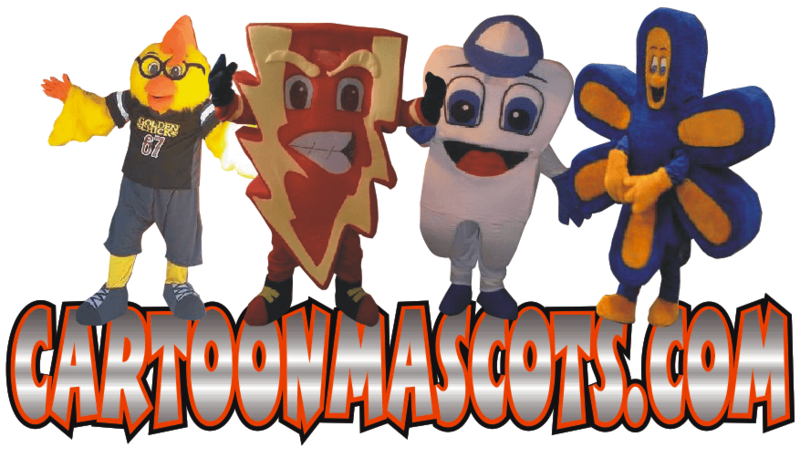 Cartoon Mascots is a professional company that creates character costumes and cartoon mascots for all purposes. If you need costumes, whichever part of the world you’re in, we can reach you through our worldwide shipping. 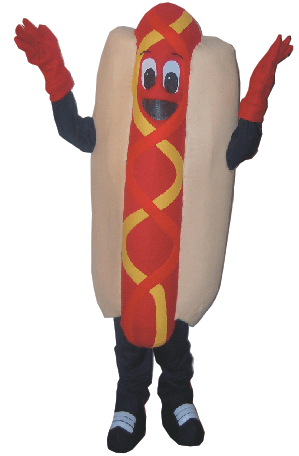 We also have custom-made mascot costumes for your specific needs. Our team of creative designers is more than willing to cater to your job specifications to be able to produce what suits your business, church, school, or product promotional activities. Our company uses the latest technology for mascot costume creation, and boasts of designs that have well-defined features. Apart from the aesthetic aspect, we also ensure the comfort of adult mascot personnel while they are garbed in a costume. The light materials on our costumes and installed ventilation result in a longer, safer and most entertaining mascot performance. We make all characters, cartoons, and mascots, Our design or Yours. We make christmas costumes, easter bunnies ,custom costumes, dog costumes, stork costume, bear costumes, sea animal costumes, farm animal costumes, and ALL ARE GREAT FOR entertainment! WE DO NOT MAKE COPYRIGHT POPULAR CHARACTERS OF ANY KIND. We accept all major credit cards, PAYPAL ,we take checks, money orders, BANK DEPOSIT, western union or money gram.